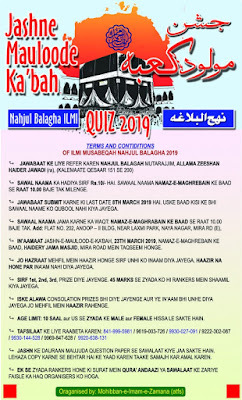 Mumbai Shia News: Sayyed Nasrallah Speech in the Israeli Eyes: Surprises and More! Sayyed Nasrallah Speech in the Israeli Eyes: Surprises and More! (Sayyed) Hasan Nasrallah threatens in a military speech to hit the nuclear reactor in Dimona as well as the ammonia tank in Haifa. He also determines the targets which will be hit in the upcoming war between Israel and Hezbollah,” a TV presenter in Israeli Channel 2 said on Thursday. 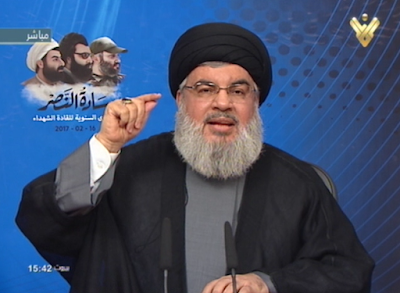 As Hezbollah Secretary General Sayyed Hasan Nasrallah ended his speech during the Martyred Leaders Day ceremony, his threats were on the top of Israeli media’s news and talk shows. In a televised speech marking the Martyred Leaders Anniversary on Thursday, Sayyed Nasrallah threatened the Israeli enemy with game-changing surprises should it launch any stupid war against Lebanon. His eminence stressed that Hezbollah missiles will hit ammonia tank wherever it was moved across the Zionist entity, advising the Israelis to dismantle the Dimona reactor. “Nasrallah moved to talk about events that would take place in case a war erupts between Israel and Hezbollah. He says that Hezbollah knows how to make from the Israeli nuclear arsenal a threat to Israel itself,” Ehud Yaari, Israeli analyst said during a talk show on Israeli Channel 2. “Nasrallah also said that Hezbollah can easily target the ammonia tank wherever it was moved to as well as what he describes as the ‘Antique’ reactor, referring to Dimona reactor,” the Israeli analyst added. The Israeli media focused meanwhile, on the other messages delivered by Sayyed Nasrallah during his speech. It tackled Hezbollah S.G.’s threat regarding the fate of Israeli elite forces in case they were engaged in a ground offensive on Lebanon. “Hezbollah Chief (Sayyed) Hasan Nasrallah has just finished a speech in which he made many threats against Israel,” another presenter on Israeli Channel 2. “Nasrallah wondered what the Israeli forces would do if a war erupts, recalling what happened with Golani Brigade when they tried to get into Gaza in 2014,” Ehud Yaari said. “He also said that surprises are Hezbollah’s style and strategy, stressing that the group has surprises that Israel has no idea about,” the Israeli analyst said referring to the Lebanese resistance leader. The enemy’s media also pointed out to Sayyed Nasrallah’s stance on Prime Minister Benjamin Netanyahu’s remarks, during his meeting with US President Donald Trump, in which Netanyahu talked about an alliance between the Zionist entity and some Arab states.